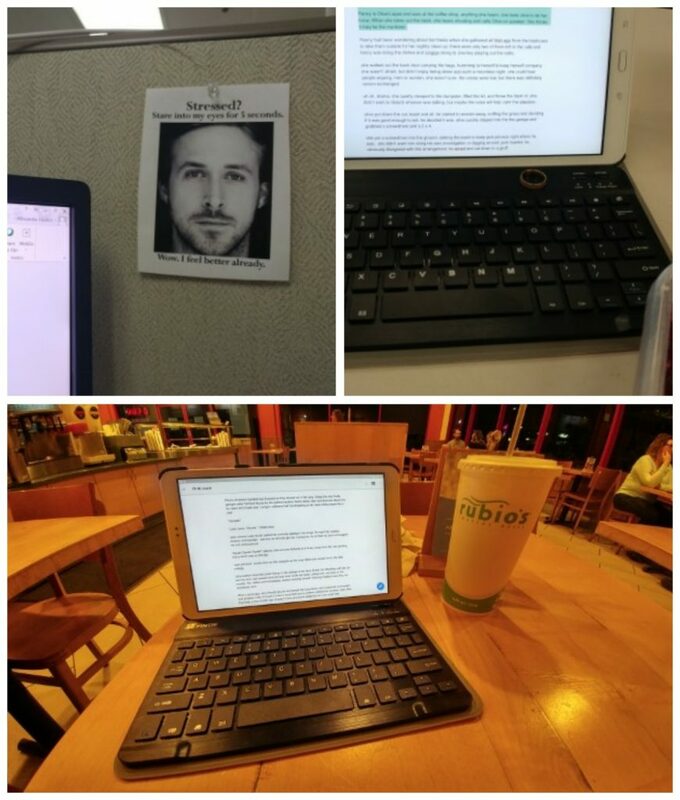 I was writing at the Rubio’s, McDonald’s, on my lunch, after work, anywhere and anytime I could spare a few minutes. I also printed out a picture of Ryan Gosling for support. November started off strong. On Day 1, I was off writing, intensely tapping the keyboard, trying to get my thoughts down on page as fast as they were popping into my head. When my story started changing directions, I couldn’t stop and steer it back on track. Finally, the story and characters got away from me all together and I hit a mental wall. I have a novel! 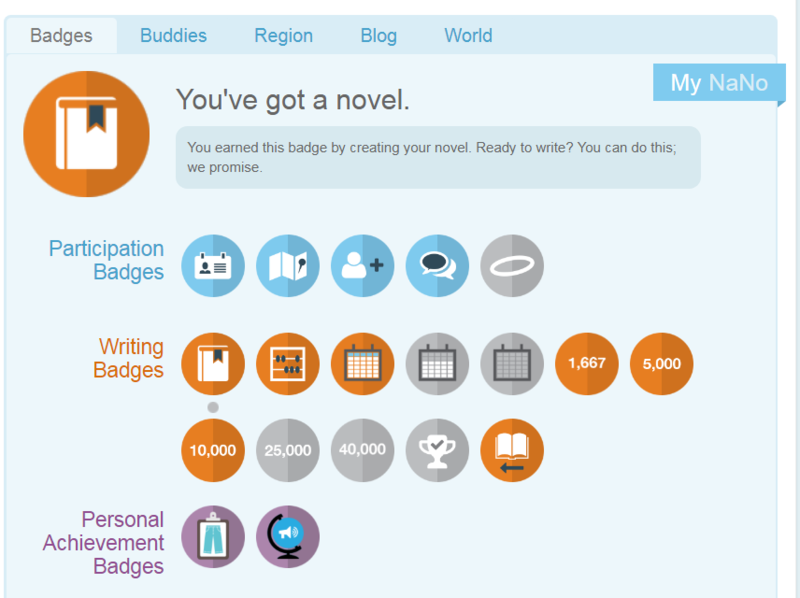 I earned lots of badges, but ultimately not the title of winner. The problem with writing a novel in November is that it’s the start of the holiday season and that means running around visiting people and Christmas shopping. OK, I know this sounds like an excuse, but it’s true. I had a friend that was getting ready to move across country and I wanted to spend as much time with her as I could before she was gone. I was also looking forward to visiting family over Thanksgiving weekend. This posed a major threat to my word count. I spent every evening trying to overcompensate for all the time I would be losing out to social events. The daily struggle resulted in me not enjoying any of my social activities because I was too busy worried about my word count and stressed that I wasn’t writing enough to finish on time. By Day 15, I cried. A lot. That was almost the end of my novel writing for the month. It was Joey’s words of wisdom that made me realize that I was taking this challenge all too seriously, “It’s not like you get money at the end of this! There’s no prize.” While he’s right that there was no physical prize or award, there was personal satisfaction, and the gratifying sense that I could complete a novel, and in 30 days’ time. It wasn’t easy and I ran out of steam. I did have a flash of inspiration and tapped out some solid pages while I was on vacation, but I could never make up for all the lost time. 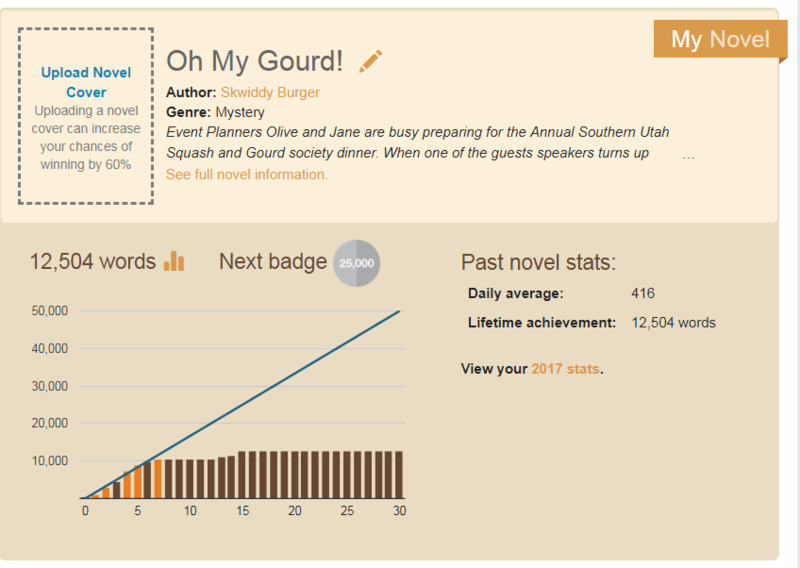 You can see where my word count just dropped off. Good News, I am ready to get back on track with more consistent blog posts. I have tried a few new cafés and been keeping busy reading. There are plenty of books I want share with you, either for good or bad reasons, to flock to your local library for or to forever put on your blacklist. Next Next post: Farewell, nonfiction. I must be moving on. Wow! Such an adventure. I really hope the word count doesn’t steal your love of the story. I do so enjoy your blogs and have missed them. Good luck!! !